"You need his love... and he needs yours." 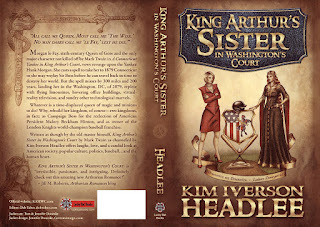 I've been so busy with personal appearances and writing lately that I almost forgot to mention that my Twain sequel, King Arthur's Sister in Washington's Court, is gearing up for a tour May 5-15, hosted by I Am a Reader blog. 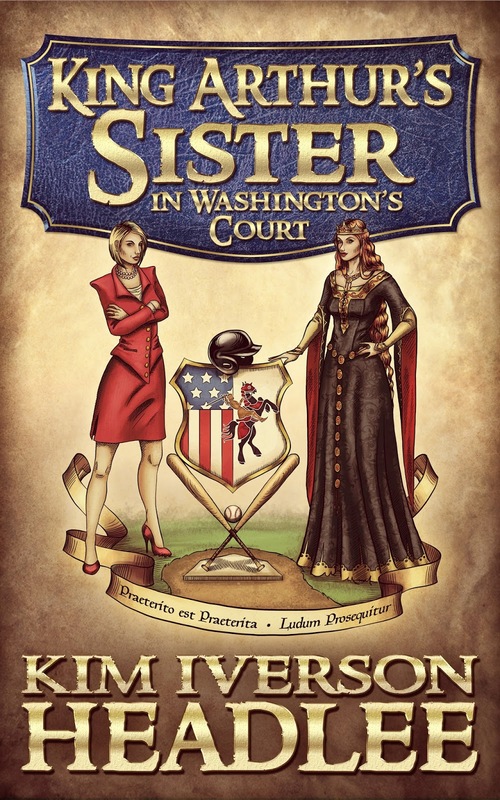 Please click on http://www.iamareader.com/2015/04/blog-tour-sign-ups-king-arthurs-sister-in-washingtons-court.html and scroll down toward the bottom to get to the signup form. I appreciate it very much! 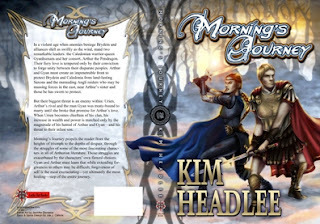 and an autographed print copy of Morning's Journey! I was too young to remember where I was or what I was doing the day JFK was shot, although I harbor vivid memories of watching Sir Winston Churchill's funeral coverage on TV just a few months later. 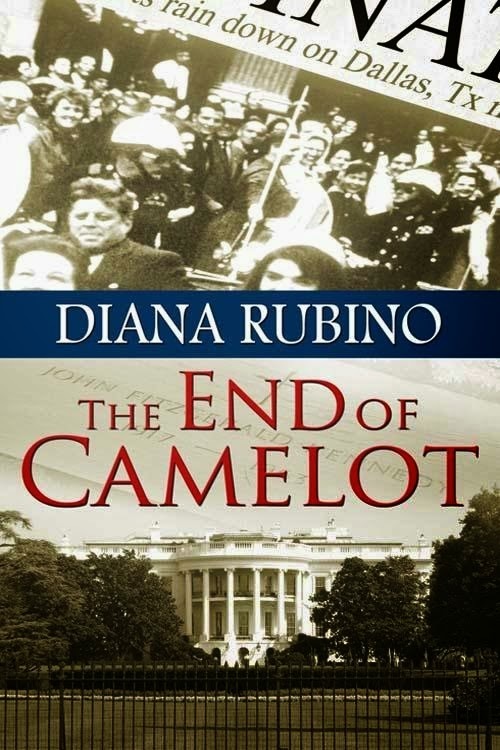 Author Diana Rubino, however, has been long fascinated with the mystery surrounding JFK's death, and her latest historical fiction release, The End of Camelot, pays homage to this American tragedy. 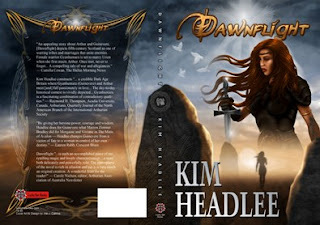 This book spotlight is offered to you as part of the #SpringFling author exchange, but to change things up a bit I have decided to spotlight The End of Camelot first and Diana's thoughts about spring afterward. It takes longer for spring to arrive here than to most places. Right now, April 1, already over a week into spring, the ground is still half covered with snow and it’s barely in the 40s. But I heard a mourning dove the other day, which is a sure sign that spring is on the way. In this area, we get a lot of spring days that are downright dreary, with overcast leaden skies, a fine mist falling, and that raw chill that goes right through you. But a day like that brings promise. It’s no longer the bitter cold with the arctic blasts. The wind carries a promising fragrance, and you can almost smell the grass struggling to peek through the patches of snow. Hearty New Englanders are out wearing shorts and T-shirts, even though it’s still in the high 40s or low 50s. We wear our Red Sox caps. All those signs point to that magical day when we can wear those T-shirts without shivering, sit in the ballpark munching peanuts, and inhale a lungful of lilac-scented breeze on a jog. It takes a while to get here, but when it does, we appreciate it all the more. Spring in New England means only a few more freak snowstorms and that odd day when you can throw on a T-shirt and shorts and jump on your bike for that first delightful Dairy Queen. Diana and her husband Chris are golfers, and that means any golf days in April are practice rounds for the ‘real thing’—the leagues. Diana’s latest title, Book Three of her NYC Saga, THE END OF CAMELOT, is set around the assassination of President Kennedy. You can read about it on her blog, and join in the lively chat at the end of the post. Share your memories of that day, your conspiracy theories, and reminisce about the days before we ‘lost our innocence.’ Visit www.dianarubinoauthor.blogspot.com. 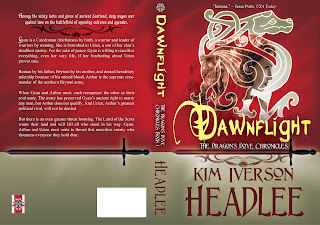 THE END OF CAMELOT had its worldwide release on April 10, published with The Wild Rose Press. If you are a blogger, enjoy Arthurian and other medieval tales, and would like to join Mary and I and several other author-bloggers in expressing our love of all things medieval, you are welcome to check out the #Arthurverse tribe on Triberr.com today! "free" is music to the ears! 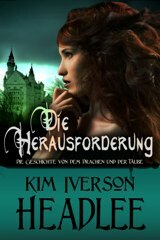 Post a comment on http://www.addictedtoebooks.com/content/todays-free-kindle-books if your e-book is free or permafree (must apply for an account on the site first; scroll all the way down to the bottom of the page). Permafree posts stay active for 5 days. Restrictions: No erotica; all cover images must be family-friendly. Warning: if your book is not free at the time you post your comment, it will be deleted from the list. If your e-book is $5.99 or less and has at least 5 reviews on Amazon, you can promote your book at http://www.addictedtoebooks.com/content/free-advertising (must apply for an account on the site first). Restrictions: No erotica; all cover images must be family-friendly. If your e-book is $5.00 or less, you can submit your book for consideration for a free listing at http://www.bargainbooksy.com/for-authors/. FREE PROMO UNTIL JUNE 1ST: http://bettybookfreak.com/authors/ mailing list promotion, with several different options depending on how many reviews your e-book has, whether it's a new release, etc. 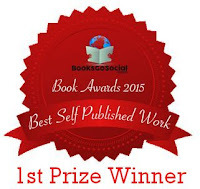 Restrictions: authors of multiple titles may only submit one title every 30 days. For all categories except New Release, a title must not have been published within the last 90 days; i.e., pick the New Release category if it's that recent, but no pre-orders are allowed under any circumstances. "Betty reserves the right to decline any submission for any reason she sees fit." After June 1st, authors will be charged a nominal fee for this service. 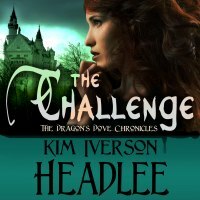 If your Kindle e-book is $2.99 or less and has at least 5 reviews with a 3.5 or higher rating, you can submit your book for consideration at: http://www.ebooklister.net/submit.php. Restrictions: No erotica. Requires email validation as part of the submission process. If your e-book is scheduled for a free promo or is permafree, you can submit it for consideration to http://www.freebooksy.com/editorial-submissions/?utm_campaign=editorial-submissions. 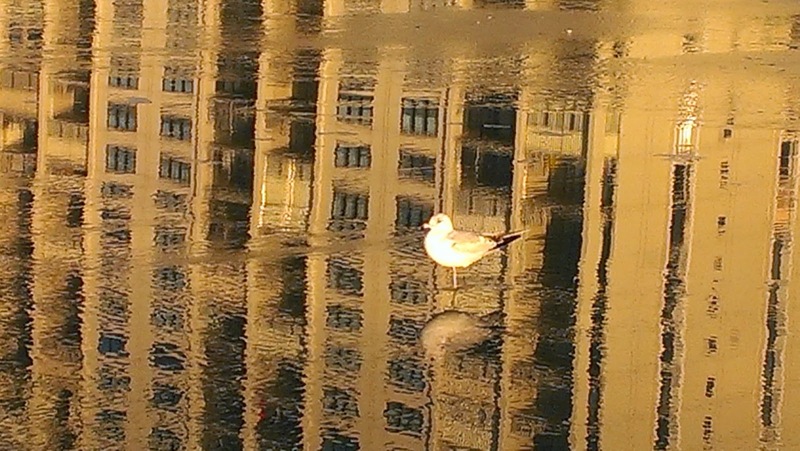 Free listings for a "limited time" are available via http://readcheaply.com/partners/, a juried subscriber email service. There are several caveats, including the fact that they might not select your submission, they don't list more than one book per month by the same author, and the same book cannot be featured more frequently than once every four months, but if you have high-quality content inside and out, it's worth a shot! running now until June 22nd! Now that my income taxes are done for another year, I'm happy to share the answers to "5 Easy Questions" posed by Kayelle Allen of the Romance Lives Forever blog. RLF: What's your favorite down-home family style meal? Kim: Steak and peppers, a recipe I learned from my late mother-in-law, which I can now make just about with my eyes closed. RLF: What is your go-to meal when you dine out? Kim: Sushi, especially on half-price days at our local Japanese restaurant. RLF: Describe the perfect vacation. Kim: A hotel on the beach—any beach—in the off season, when it’s not so murderously hot or crowded, where I don’t have to cook =or=clean! The longer the stay, the better. RLF: Tell us about your favorite toy as a child. Kim: It’s a white teddy bear that I carried everywhere from the moment I could pick it up. I left it underneath the tree in our yard when we moved—I was all of a year old when that happened. Several weeks later, the neighbors found it and mailed it to us. Teddy now sits in a place of honor on the shelf above my bedroom’s fireplace; no more nights out in the cold & rain for him! 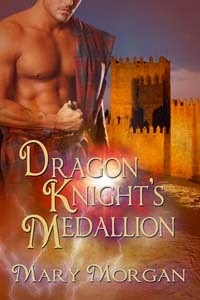 RLF: If the hero of your latest book called you on the phone, what would be a perfect ringtone for him? Kim: “Russian Easter Overture” by Nikolai Rimsky-Korsakov, the really heroic-sounding part in the middle. It always reminds me of Arthur galloping to the rescue! Tina Gayle, author of IT Exec's Baby and other novels previously featured on The Maze, always comes up with great ideas for author-exchange themes -- #EggcerptExchange, #RockingSummerRomance, #FallingintoLove -- and now, #SpringFling! Why do I like Spring? I love the nature’s slow rebirth from brown to green. Flowers dancing in the wind, attracting the butterflies and pollenating the future. That was lovely, Tina, thank you very much! Synopsis: Brie Sullivan has a new baby girl and there are a million things to do, but Brie doesn’t have the energy to keep up. Why? She’s still grieving for her husband and suffering from baby blues, but she won’t let that stop her. She’s come up with the answer--find a new husband to be the father of her kids. 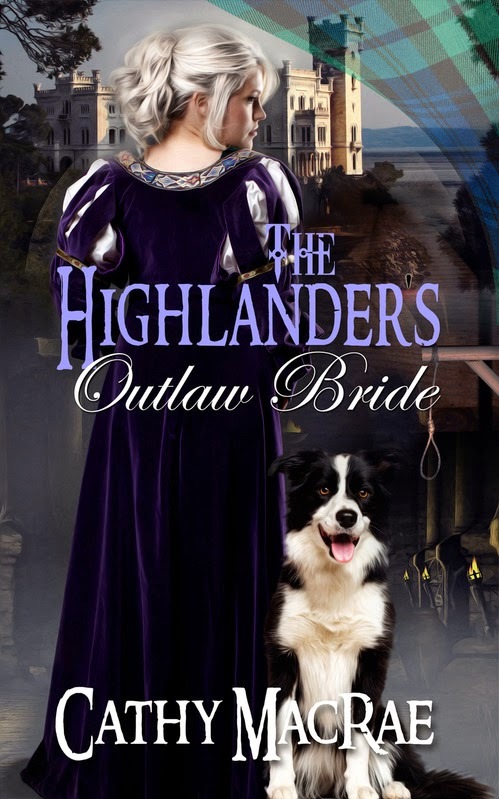 The Highlander's Outlaw Bride by Cathy MacRae! Brianna Douglas has no desire for marriage. Widowed young, berated daily for failing to give her first husband a child, and sent home in subsequent disgrace, she devotes her life to holding her family's land for her young brother as their sotted father drowns his sorrow in whiskey over her mother's death. 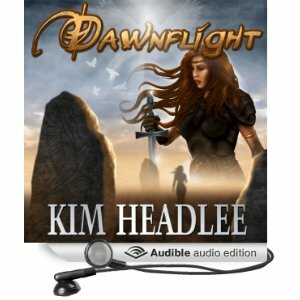 Raiders have hit her clan hard, and to save them, she finds herself betrothed to Laird MacLaurey's absent son to seal a pact of protection with the MacLaurey clan. Into that amazing, quirky little town we drop our hero and heroine. Sometimes they’re both natives of the town. Perhaps they’ve lived there all their lives, and have harbored secret feelings for each other for years. Or maybe one of them has recently returned home, either permanently or for what they believe will be a short stay. 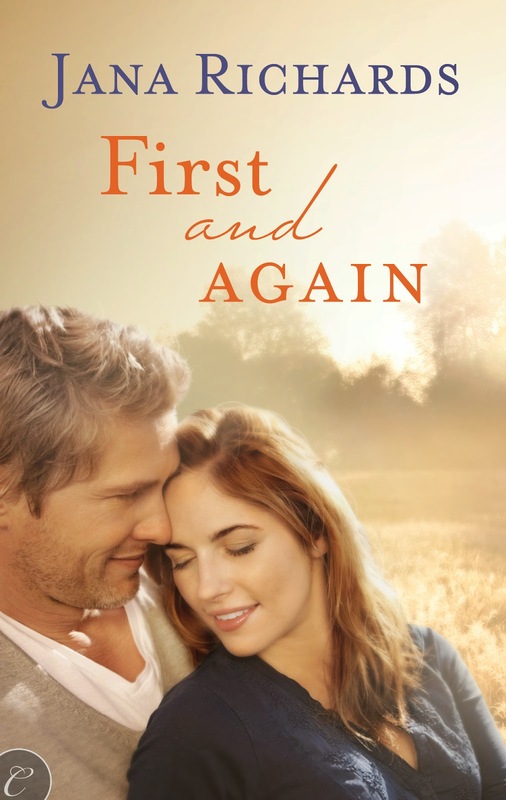 In my small town romance FIRST AND AGAIN, Bridget Grant returns to her small hometown, Paradise, North Dakota, when both her business and her marriage fail, leaving her broke and out of options. Her plan is to work temporarily in her mother’s bar until she gets back on her feet, and then she and her daughter will move back to San Francisco. But when she reconnects with Jack Davison, her first love, she begins to rethink her decision to leave. In other small town romances, one of the lovers is a newcomer to the town. They are a stranger in a strange land, a fish out of water. That describes Alex Campbell in ONE MORE SECOND CHANCE. Arriving from his hometown of San Diego, Alex ends up in Lobster Cove, a small town on an island in Maine. He accepts a temporary position as a doctor in the town as a way to pay off his medical school debt. He only plans to stay for two years, the length of his contract. When the story opens he has only ten months left. Of course everything changes for Alex when he meets Julia. Even though Bridget rekindles her love for Jack, and Alex is head over heels for Julia, love might not be enough. Bridget left Paradise nearly twenty years previously because she wanted more than the small town could offer her. A chef trained at the Culinary Institute of America, Bridget previously worked in some of the great restaurants of San Francisco, and then owned a large catering company with her ex-husband. Despite her recent setbacks, she’s got big dreams. Alex loves the excitement and challenge of a big city emergency room. Professionally, can he be happy in a town as small as Lobster Cove? In FIRST AND AGAIN, Bridget begins a new catering company with her former high school nemesis, and reopens the restaurant in her mother’s bar and hotel business. In ONE MORE SECOND CHANCE, Alex discovers how challenging family medicine can be. So they both find meaningful work. But is it enough? Small towns are just that – small. They lack many of the amenities that city dwellers take for granted. There has to be something that makes people like Bridget and Alex want to stay, something they can’t get in a big city. This is where those quirky characters come in. The thing about small towns is that they are communities. Their inhabitants care about each other and support each other when the chips are down. Showing this community caring at work is vital for a successful small town romance. The small town has to show that it is a worthy place for the hero and heroine to live and love. Have you ever lived in a small town? What was the best thing about it? Would you like to live in a small town? From today until April 11 at midnight, I’m having a promotion that I call “Over the Hump”. I need help getting over the 2,000 follower mark on Twitter so I can follow more people. So I’m holding a contest and giving away prizes. 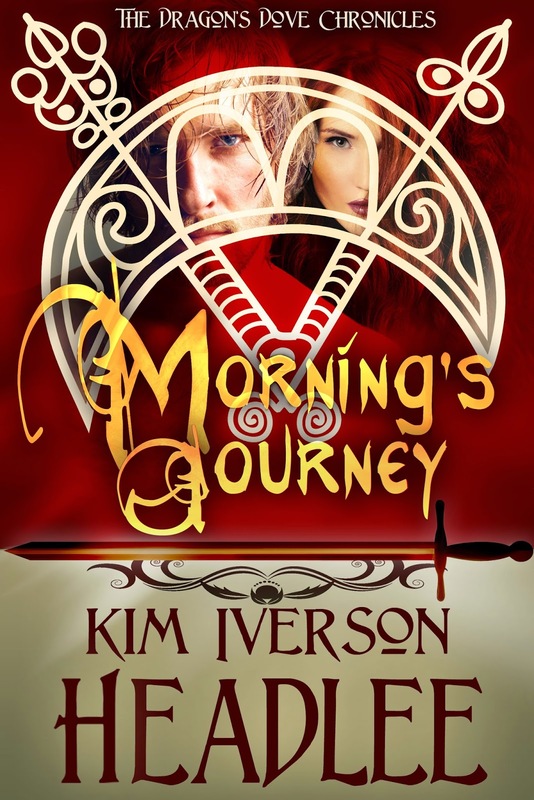 Check out my blog, Journeys with Jana, for more information, or enter the Rafflecopter contest below. Thank you for reading my post today! And thank you, Jana, for sharing your advice on The Maze--which is indeed located in a small town in the Appalachian Mountains of Virginia. The sound of an approaching vehicle made her cringe. The driver would likely stop and ask what had happened and whether she was all right. 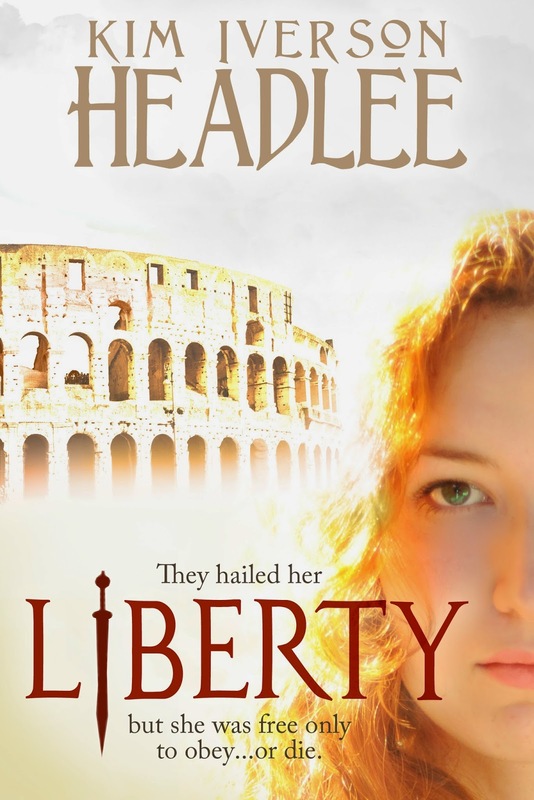 The thought of having to explain her actions made her feel slightly queasy. She prayed for the person to keep on going, to ignore the woman in a pink apron walking alone down a gravel road. She heard the vehicle slow to a crawl as it pulled next to her. Righteous anger bubbled in her chest when she glanced over and saw Jack Davison roll down his window. “Going for a walk?” he asked. She kept on walking, her head high. To her dismay Jack continued to follow her slowly with his truck. Bridget didn’t answer. Perhaps it seemed petty to others, but Tina and Celia had humiliated her, and Jack had laughed at her. She wasn’t likely to get over it quickly. She glanced toward Jack and he grinned back, all innocence and boyish charm. Despite herself, she returned his smile. He was a hard man to stay angry with, and she really didn’t want to walk back to the motel and risk having other people pass her on the road. She climbed into the cab, slammed the door shut, then buckled her seat belt. She smoothed the apron over her lap, suddenly feeling stupid and regretting her decision to accept the ride. Jack probably thought she was crazy, or at best, unbalanced. There was no way she could explain the fear that had controlled her life the last two years. “I have a punching bag,” he said, his eyes on the road ahead. “Excuse me?” she said, confused. Had she missed part of this conversation? “Oh, I see,” she said cautiously. He glanced at her, and she saw a momentary look of surprise in his expression before he turned his attention back to his driving. The news took her by surprise. Was he single because of divorce or because his wife had died? “Oh, I’m sorry. Celia didn’t tell me.” She wondered why her sister hadn’t filled her in after all this time. He offered no further information and she decided not to ask any more questions. After all, she barely knew him anymore. to win a $10 Amazon gift certificate! Thanks to author Ashley York I have been invited to participate in the current round of Medieval Monday, which kicks off today with all participating authors of medieval fiction introducing their books on their own blogs. 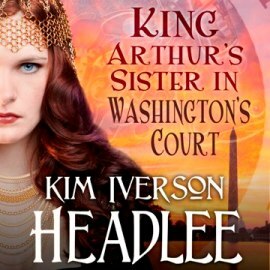 In honor of the 105th anniversary of Mark Twain's death on 04/21/1910, I have chosen to feature my homage to his work, King Arthur's Sister in Washington's Court by Mark Twain as channeled by Kim Iverson Headlee. Enjoy! 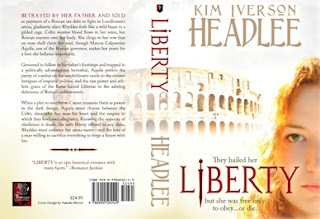 and an autographed print copy of Liberty! March in the Appalachians decided to go out like a lion, rather than a lamb--I woke up to snow the morning I composed this post, and it didn't get over the freezing mark all day--so I decided to throw in the proverbial towel. The beach towel, that is. It's not all-play-and-no-work for me, however! This is a writing vacation, and I hope to make great progress on my latest novel, Raging Sea. The sea here on the Grand Strand doesn't exactly rage, but it's a great place to fake it. 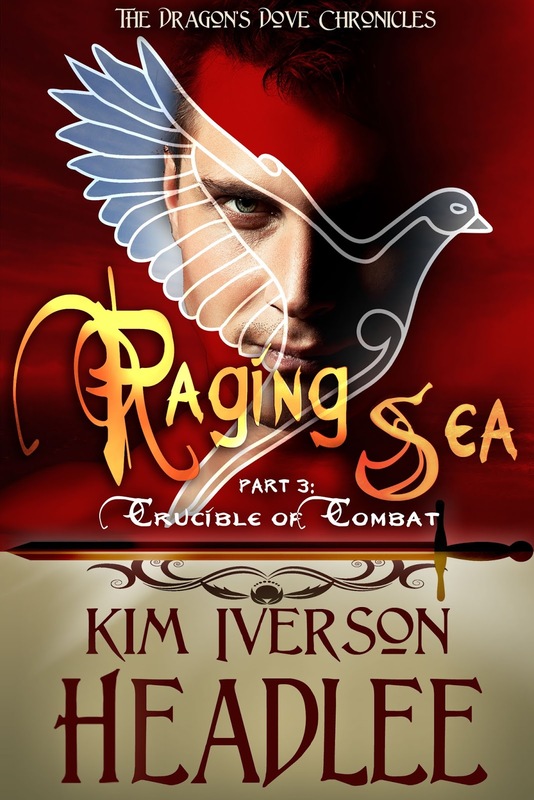 The latest excerpt of Raging Sea may be viewed here, and that post contains links to all the previous installments. 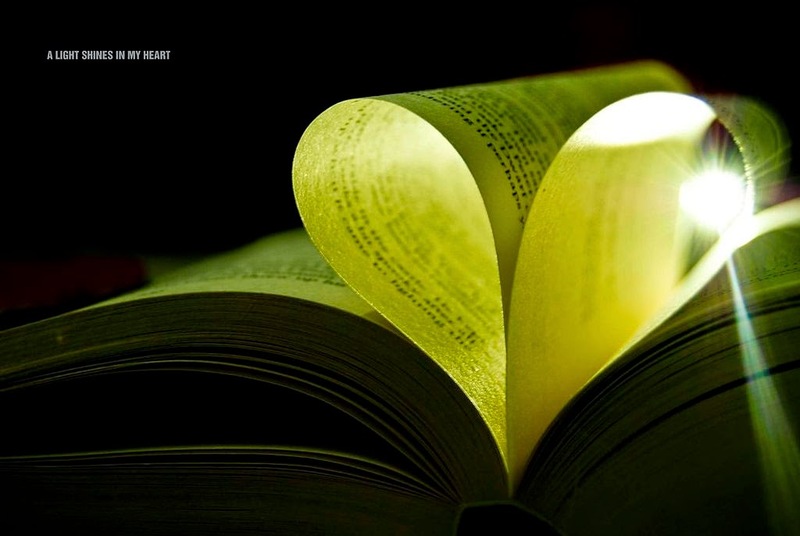 And please click on the tabs to view my book pages to see the latest in blog tours, reviews, free books, and more! 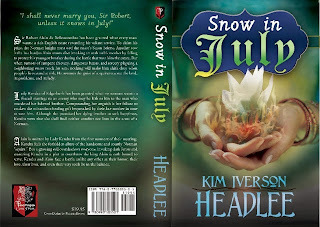 Congratulations to Drue and Judy (already notified), the latest winners in my monthly blog contest! 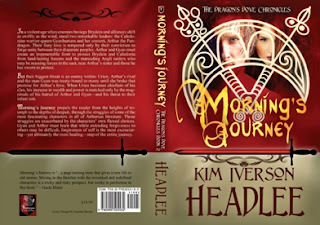 April 10, 10-11 a.m. Reading from King Arthur's Sister in Washington's Court at Easley Library, Bluefield College, VA.
April 11, 10 a.m.-4 p.m. Signing and selling books at the Celebration of Appalachia Festival, Bluefield College, VA.
April 18, 9:45 a.m.-5 p.m. 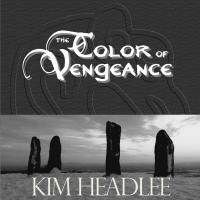 Signing and selling books at Con of the Mountain comicon, 518 Church Street, Clifton Forge, VA.
April 25, 10 a.m.-4 p.m. Signing and selling books at the Experience Art in Wytheville event, Wytheville, VA.